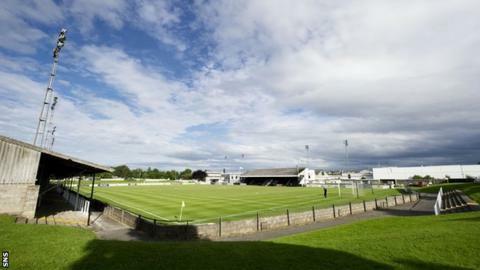 Rangers' Third Division match at Elgin City on Sunday has been postponed on safety grounds because the Borough Briggs club has sold about 1,100 tickets more than its 4,520 capacity. A statement on the Scottish Football League website said: "It has come to light that there has been a substantial over-sale of tickets for this fixture. "Elgin City could not confirm the exact number of tickets sold for this match. "On the grounds of public safety, this match has been postponed," it added. "Elgin City FC would like to apologise sincerely for this disappointing outcome." The club have announced that they will refund supporters who bought tickets for the cancelled fixture, but tickets for the match will not be valid for the rescheduled date. "We would ask all fans to note that tickets issued for the game due to be played on Sunday 25 November 2012 will not be valid for the re-scheduled date," said an Elgin statement. "The club advises that those holding tickets issued by Elgin City return these to the club for a full refund. "Tickets purchased via Rangers FC for this match should contact the Rangers ticket office. "New ticketing arrangements will be announced in due course once a rescheduled date has been announced by the Scottish Football League." The decision to postpone the match was taken in conjunction with Grampian Police and Moray Council. Match commander superintendent Mark Cooper said: "After discussions with the club it was clear that we were faced with the prospect of at least 1,100 extra fans turning up for what was an already sold-out fixture. "We understand that fans will be disappointed with the cancellation of this match but our primary concern always has to be safety and we could not allow a situation that potentially put lives or the welfare of the general public at risk." Earlier in the week, club director and safety officer Martyn Hunter said 4,520 tickets had been sold and that "the stadium will be at its capacity for the first time in many years and it should be a great football occasion with both teams sitting at the top of the league". Rangers manager Ally McCoist expressed his disappointment at the late call-off. He told the Rangers website: "This was due to circumstances outwith our control but we were informed a short time ago that there was no way the match could go ahead on safety grounds. "I am sure this is a huge disappointment to our supporters who have purchased match tickets and arranged travel in good faith. "Elgin City have apologised to the club and we accept their apology but I feel for our fans." The SFL operations director is to spend Saturday in Elgin seeking answers over the cancellation of the match and the league's board will meet on Monday or Tuesday to discuss his report. Elgin could have gone top of the league if they had beaten the Glasgow outfit. Ross Jack's side are second in the table, two points behind Rangers, having played a game more. The game was due to be screened live on TV. The teams meet at Ibrox in the fourth round of the Scottish Cup on Sunday 2 December.